Organizers said more than 240,000 people turned out Saturday, while police on Twitter cited a turnout figure in "the low six-digit region." 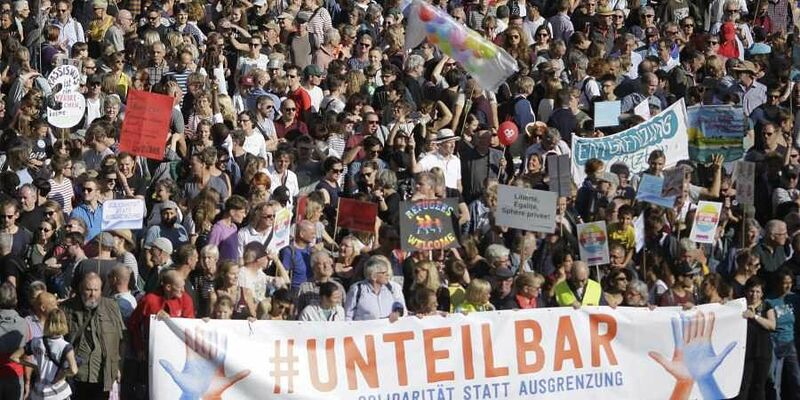 BERLIN: Tens of thousands of people protested racism and discrimination Saturday in Berlin, a demonstration that came amid rising concerns about Germany's increasingly confident far right. Last year's German election saw the far-right Alternative for Germany party enter the national parliament. Anti-migrant violence a few weeks ago in the eastern city of Chemnitz has added to concerns. Among backers was Foreign Minister Heiko Maas, who told the Funke newspaper group that he welcomed "a great signal" that "the majority in our country stands for tolerance and openness." The local branch of Chancellor Angela Merkel's conservative party didn't back the protest, with senior official Stefan Evers arguing that its supporters included various "dubious organizations."